Just before Christmas, I handed in a funding proposal that will hopefully turn out to be successful; if it is, it will enable me to fund three post docs/experienced scientists who will be working on Blastocystis genomics, animal experimental model work, and Blastocystis in the gut microbiota context, all three projects serving to identify the role of the parasite in health and disease. I've never been crossing my fingers as much as I am now... I will only know in 6 months from now whether I've been successful or not, so it's a long wait! Two new papers have come to my attention. One deals with identification of a new host for Blastocystis - the brown bear (Ursus arctos); the other one is about the finding of Blastocystis in a case of appendicular peritonitis. Ursus arctos - new host for Blastocystis (Source). So far, Blastocystis has been identified in many larger mammals. Mostly synanthropic animals and animals in captivity have been sampled. Meanwhile, we know little about Blastocystis in 'the wild', in sylvatic animals. 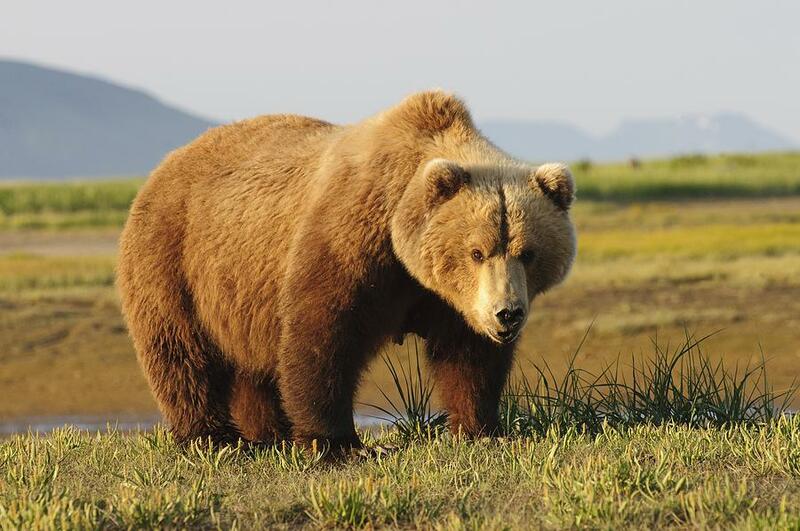 A team from Slovakia took to collecting 16 stool samples from brown bears in the Poloniny National Park; eight of them were positive for Blastocystis ST3, a subtype found mainly in primates, but also occasionally in a variety of other hosts. Interestingly, the team reported that the ST3 sequence amplified from the samples were identical to a sequence that we have deposited in GenBank (HQ909889) isolated from a human. We have studied ST3 from human and non-human primates, who are both common hosts of ST3. However, we have also come to realise that ST3 strains in humans differ genetically from ST3 of non-human primates, i.e., it appears not to be the same strains circulating in human and non-human primates. I wouldn't have been surprised to find a bear-specific allele of ST3, but apparently, the bears in the study harboured ST3 identical to ST3 in humans. Blastocystis is a frequent finding in large mammals such as cows, pigs, camels, and, possibly, bears. One of my colleagues recently asked me: How about horses? A parasitologist herself with a vast experience in both human and animal parasitology, she told me that she did not remember coming across Blastocystis in horse manure. And we wondered why... Assuming that exposure does not differ between horses and other larger, synanthropic mammals, the reason why horses might not harbour Blastocystis may be due to factors such as diet, digestion, microbiota, and maybe competing eukaryotic intestinal fauna. However, I believe that horses have been infrequently sampled, and so we need more data to be able to 'ruminate' further on this. Since parasites such as Dientamoeba and Blastocystis are lodged in the colon, including the coecum, their potential role in e.g. appendicitis and related conditions could warrant scrutiny. Fréalle and colleagues reported a case of appendicitis with suppuration into the recto-uterine pouch and reflex ileus in a 9-year-old girl returning to France after a 1-month stay in Casablanca, Morocco, admitted to Lille University Hospital, France. The authors were unable to detect enteropathogenic bacteria such as Salmonella, Shigella, Campylobacter, Yersinia enterocolitica, adenovirus, and rotavirus, but "multimicrobial flora" was detected in the peritoneal liquid and recto-uterine pouch. It would seem plausible to me that Blastocystis ended up in the peritoneum by chance along with other enteric micro-organisms, although the etiology of the inflammation remains uncertain. Appendicitis usually develops following obstruction of the lumen of the appendix, either due to hyperplasia of lymphoid tissue or faeces becoming incarcerated in the mucosal tissue; however, other causes are have also been observed, e.g. pinworm infection. It would like to finish off by a ***Happy New Year***, at the same time celebrating page view #300,000! 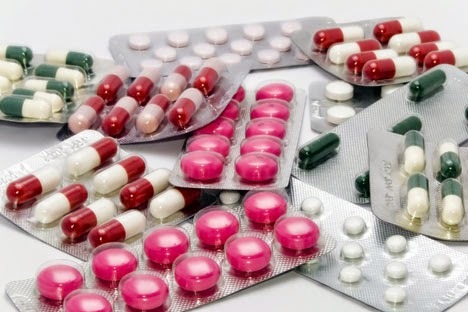 The 'This Month' post is triggered by a paper emerging in the journal Gut Pathogens describing a clinical pilot study on the efficacy of triple antibiotic therapy in Blastocystis positive IBS patients. The article is free for download here. The triple therapy consisted of fourteen days of diloxanide furoate 500 mg thrice daily, trimethoprim/sulfamethoxazole (cotrimoxazole) 160/80 mg twice daily, and secnidazole 400 mg thrice daily. Six of ten patients achieved eradication. Please have a look at the paper for more information. Sometimes I get contacted by people who have been trying to get rid of Blastocystis. And on the odd occasion, I receive accounts that I'd like to share - completely anonymously of course - hoping that the information will benefit those interested and that I can stimulate interest in the field a bit. But also because I think that sometimes people expose themselves to MASSIVE antibiotic treatment that might cause more harm than good (microbiota perturbation). Below you'll find three examples dealing with the eradication of Blastocystis. Kindly note that this is not a post on IF or WHEN one should seek to eradicate Blastocystis, and please also note that this should not be interpreted as 'medical advice'. I obtained permission from the patients in Examples #1 and #2 to share their stories, which have been eidted slightly for clarity. January 2012: Fasygin (tinidazole) twice daily for 3 days => still positive after treatment. February 2012: Bactrim Forte (co-trimoxazole) three times daily for 10 days => still positive after treatment. March 2012: A combination of Bactrim Forte (cotrimoxazole) three times daily for 10 days and Tiberal (ornidazole) twice a day for 5 days. Then, Intetrix (tiliquinol) twice a day for 10 days => still positive after treatment. May 2012: first-line-treatment from Australia = combination of Bactrim Forte (co-trimoxazole) twice a day for 10 days / Secnidazole 3 times a day for 10 days / Diloxanide Furoate 3 times a day for 10 days => 3 consecutive Blastocystis-negative stools (tests in July 2012). March 2014: Flagyl (metronidazole) 3 times a day for 10 days, then a combination of Paromomycin 6 times a day for 10 days / Doxycyclin 2 times a day for 10 days / Bactrim Forte (co-trimoxazole) 3 times a day for 10 days / Saccharomyces boulardii 4 times a day for 10 days. Test in April: Stool-positive for Blastocystis. May 2014: Nitazoxanide 2 times a day for 10 days / Furazolidone 3 times a day for 10 days / Secnidazole 3 times a day for 10 days. I'm now in a period with phases (after pain during 2/3 weeks, no more pain during 2/3 weeks, then pain again, then no more...). All tests were carried out in the same way at the same lab." The patient's current Blastocystis carrier status remains unknown. However, the present story demonstrates the ferocious concoctions taken into use to clear Blastocystis. "Metronidazole for 10 days failed, then, a few months later, I tried metronidazole plus paromomycin for 10 days, flanked with 3 doses of nitazoxanide and one dose of albendazole, and I am now convinced that that heavy chemo-treatment worked, since several tests, including my most recent one, have been negative since that multi-drug treatment. Some lingering mild symptoms, possibly related, or not, kept me wondering, but I am now convinced the bugs are gone." The last story is my own, and it describes how I inadvertently lost my Blastocystis strain. Please note that I have no financial interests to disclose. Moreover, I don't believe that I ever suffered symptoms from Blastocystis colonisation. I spent most of my childhood in the countryside in Denmark. Moving down from Norway, my parents had bought a small farm, although they were not farmers. We did have some animals though, e.g. cats, a dog, chickens, sheep, and at some point even a couple of tortoises. I don't think I ever received antibiotics throughout childhood, except from once when being hospitalised due to surgery back in 1975. In 1990, I sustained a severe bicycle accident and was admitted to hospital; I believe I must have received some antibiotics back then, too. I have travelled extensively, and spent several months in e.g. Laos and Thailand in 2003/2004, three weeks in India in 2007, etc. I wish that I had been able to map my intestinal bacterial communities both before and after treatment to identify the effect of the drugs on my gut microbiota, thinking that Blastocystis disappeared due to microbiota perturbation rather than a direct effect on the parasite. I don't remember changing anything in my diet around the time of 'conversion'; only thing that I can think of is that - for a reason I no longer remember - I took to ingesting large amounts of freshly chopped ginger and consumed quite a few cups of 'ginger tea' (basically just a ginger infusion) around that time. But since ginger consumption is very common in parts of the world where Blastocystis is common, I don't attribute eradication to ginger consumption. I may be wrong of course. For now, I just wanted to post the information and let the examples speak for themselves.